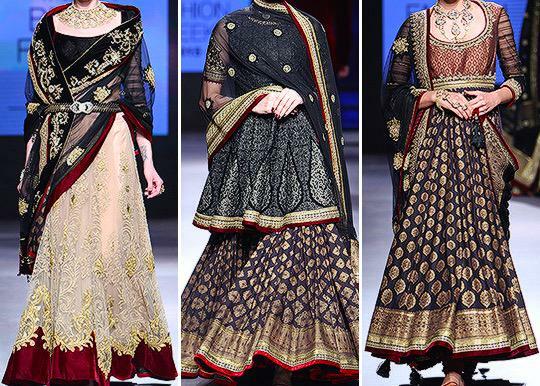 Tarun Tahiliani presented a very wearable collection for brides at the India Bridal Fashion week 2015. Shades of orange dominated Tarun Tahilianis collection titled - Our Eclectic New World but there were some amazing creams, powder blues and pinks as well. 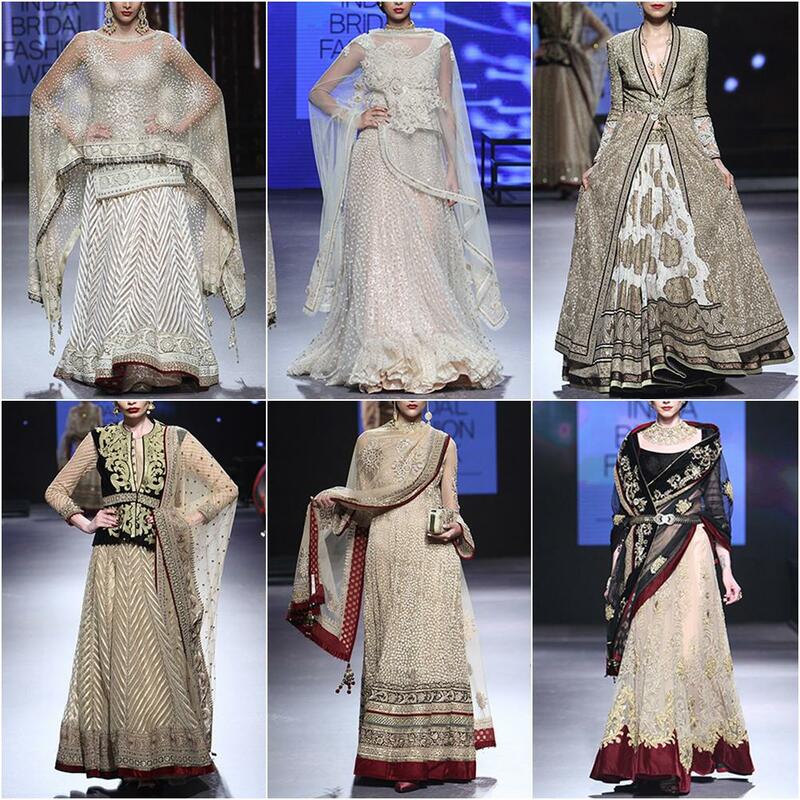 The fabrics used were lightweight layered in tulles and organze while the detailing on the outfits had plenty of swarovski crystals, pearls and jaali work. The showstopper for this show was Lisa Haydon who walked the ramp as a new age bride. 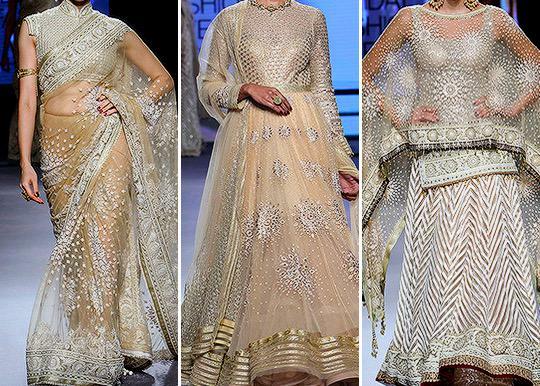 Brides will really love this show which had everything from lehengas, gowns, sarees and corsets and if you are a to be bride this show is has a lot of bridal inspiration packed up in it so dont forget to read till the end. Ombre Lehenga embellished with swarovski crystals. My favourite piece of this collection. Full on voluminous skirt in powder blue with swarovski embellished top. 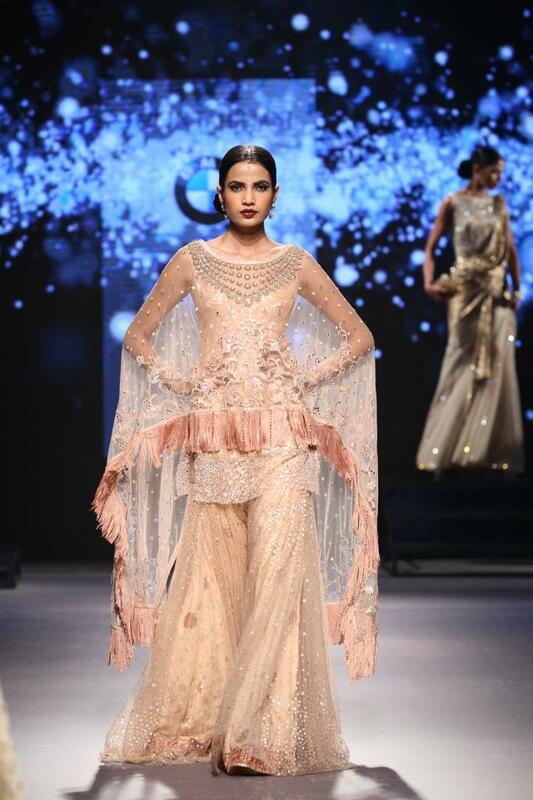 What are your thoughts on this collection by Tarun Tahiliani?